Ever since Rosie the robot maid first appeared on The Jetsons, we’ve been waiting for the day when robots will take care of the housework. Well, that time is now—sort of. Robot vacuums have become an affordable and effective way to maintain the floors in your home. While they won’t crack jokes or wash your dishes just yet, robot vacuums can save you precious time and energy when it comes to cleaning your home. But which robot vacuum is best? There are plenty of options on the market, from the well-known Roomba line to the increasingly popular Eufy RoboVac. With their different features, strengths, and weaknesses, it can be hard to choose the right one for your home. That’s why we’ve rounded up the four best robot vacuums for you. In our guide below, we tell you why each one made the list and what makes it stand out. Keep reading to see which of these clean machines can tackle your household messes. 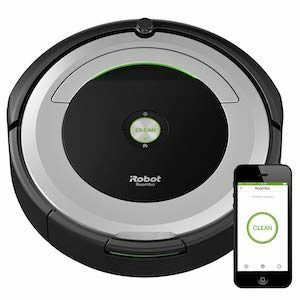 In ranking the best robovacs, we looked for vacuum cleaners that have the ability to clean multiple types of floors, a reasonable battery life, positive customer reviews, and a warranty of at least a year. We also noted other standout features (like smart home integration), and we looked at how each vacuum’s price compared to its features. After all our research, these four vacuums made the cut. The Ecovacs Deebot N79 earned our top spot by offering excellent features at an affordable price. Of our top picks, it has the second-best battery life (the iLife A4S has the best but offers considerably less in the way of features), cleaning for over an hour and a half before needing to recharge. It’s also the only one of our picks that lets you choose between a remote control and a mobile app. In fact, no other sub-$300 robot on our list even offers a mobile app. Plus, customers rave about how quietly the N79 cleans. The Deebot N79 may not be the undisputed best smart vacuum out there—it lacks smart home integration and adaptive navigation—but it is certainly the best value. The Ecovacs Deebot N79 gives you quality cleaning and great features at a surprisingly low price. We think it’s the best robot vacuum for most people, which makes the Deebot N79 our number-one pick. Dimensions: 13 x 13 x 3.1 in. The iRobot Roomba 960, on the other hand, is the best robot vacuum for people who are willing to pay for extra features. Most notably, the Roomba 960 integrates with Amazon Alexa and Google Home, making it a seamless part of your smart home. It even supports voice control via Alexa. The Roomba 960 also features the smartest navigation. Unlike most of our other picks, it actually visualizes your room and adapts its cleaning patterns to give you a more thorough clean. However, these impressive features do come at a price. The Roomba 960 costs over $300 more than our top pick. 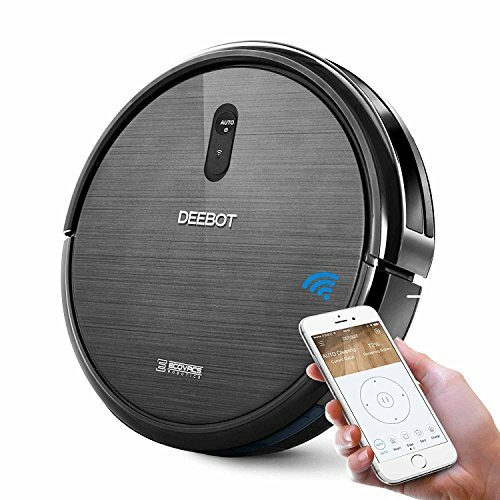 Since we consider these features to be nice rather than necessary, we put the more affordable Deebot N79 above the Roomba 960 in our rankings. If, however, you want the smartest robot vacuum possible, you won’t regret splurging on the Roomba 960. In stark contrast to the Roomba 960, the iLife A4s is the most affordable robot vacuum on our list, usually sold for just under $200. Despite that low price, the A4s offers the best battery life of all our picks, cleaning for over two hours at a time. However, the A4s is the only one of our picks that doesn’t have a mobile app—you have to use the included remote control, but it allows for programmable scheduling. While customers say the A4s cleans well, many people have noted it seems to get stuck under furniture or on cords more often than comparable models. 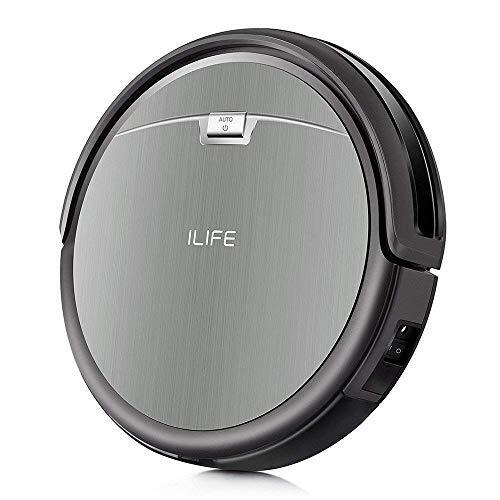 Still, if you want a decent robot vacuum at an unbeatable price point, the iLife A4s fits the bill. Just keep in mind that without an app or smart home integration, it doesn’t have the versatility of our other picks—and you might have to rescue it occasionally. Dimensions: 12.2 x 12.2 x 3 in. 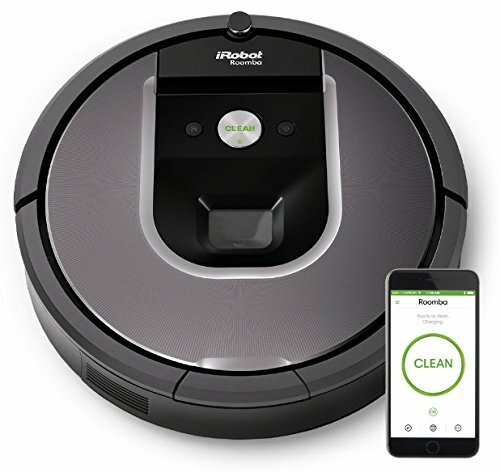 The iRobot Roomba 690 offers a compromise between price and features. While it’s more expensive than the Deebot N79 or the iLife A4s, the Roomba 690 is almost $300 cheaper than the Roomba 960, and it still offers similar smart features. The 690 works with Google Home and Alexa, and it has adaptive (but not visual) navigation. However, the Roomba 690 has the shortest battery life of any of our picks—just one hour of cleaning. That battery life, plus the somewhat higher price point, put it last on our list of our favorite robot vacuums. Still, with the Roomba 690’s smart home integration and semi-smart navigation, we don’t hesitate to recommend it. Dimensions: 13 x 13 x 3.6 in. We deliberated long and hard while making our list of the best robot vacuum cleaners. One model didn’t quite make the cut, but it still deserves an honorable mention. The Eufy RoboVac 11 is a good robot vacuum, but not quite a great one. It comes with a programmable remote control rather than an app. It’s affordable, but not as affordable as the Deebot N79 or iLife A4s. It has a good battery life—an hour and a half—but not quite as good as the A4s. 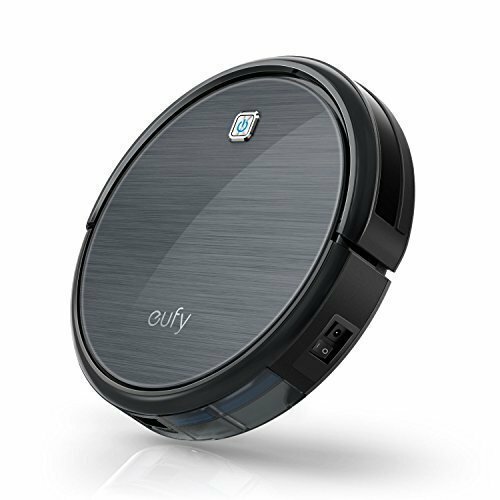 That’s the thing about the Eufy RoboVac 11: it’s good enough to stand out from the dozens of other robot vacuums out there, but not quite good enough to stand out on our list of the top models. 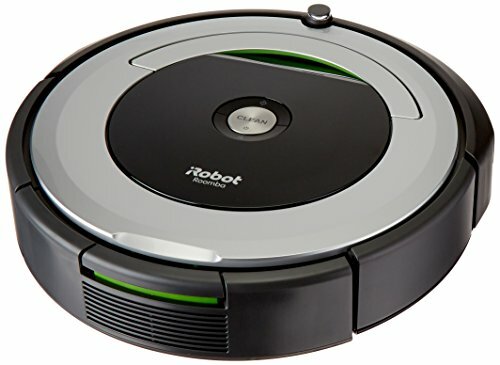 If you find it on sale, the RoboVac 11 would be a good choice. Otherwise, our top picks offer better values. Dimensions: 12.8 x 13 x 3.1 in. If you’re ready to vacuum less, one of our picks for the best robot vacuum can help you do just that. But before you make your purchase, you need to consider a few important things. Even the best robot vacuum will occasionally get stuck somewhere or get confused by obstacles that you wouldn’t give a second thought to—like a table leg or a striped rug. A robot vacuum can help you keep your floors cleaner with less effort, but don’t throw out your upright vacuum just yet—a robot vacuum works best as a supplement to regular manual vacuuming. You should still plan on sweeping and vacuuming your home anywhere from once a week to once a month, depending on how quickly dirt accumulates on your floors. Your robot vacuum lets you go longer between manual vacuuming, but your normal vacuum provides a deeper, more thorough clean than a robot vacuum can. This is, in part, because even a “smart” vacuum isn’t that smart. Even the best robot vacuum will occasionally get stuck somewhere or get confused by obstacles that you wouldn’t give a second thought to—like a table leg or a striped rug. Plus, most robot vacuums navigate randomly. In theory, if you let your vacuum randomly clean your floor each day, it should eventually get the entire room. In practice, taking the time to manually vacuum every so often is the best way to ensure every spot gets the attention it needs. Consider what floor types you need cleaned. Most robot vacuums work pretty well on hard floors, like tile or hardwood. However, very dark floors—especially matte dark floors—may still pose a problem. Dark flooring can confuse the sensors on your robot vacuum, keeping it from doing its job. If your floor isn’t nearly black, however, this shouldn’t be too much of a problem. Likewise, robot vacuums struggle with certain types of carpet. All our recommended models should handle low pile carpet without difficulty, but only the iRobot Roomba models claim to work well on longer pile carpet. Still, they have limits. If you have shag carpeting, then a robot vacuum probably won’t work well for you. Pets are another important consideration. Our recommended vacuums should handle moderate amounts of pet hair, but if you have several shedding pets, a robot vacuum might not be able to keep up. Either way, you’ll probably want to supplement with manual vacuuming more often than people who don’t own pets. Also—there’s no delicate way to put this—never use a robot vacuum if there’s a possibility your pet has had an accident on the floor. YouTube is replete with videos of robot vacuums smearing pet messes all over. (We’ll let you look it up yourself.) If your pet is accident-prone, think twice before getting a robot vacuum. At the very least, never set your vacuum to run when you’re not home to supervise and intervene. With modern robot vacuums, the future is now—ish. You can haul your bulky vacuum out of the closet less frequently and let a small, independent robot vacuum do most of the work for you. Each of our four favorite robots will help you keep your floors clean without breaking a sweat. While they won’t completely replace your old vacuum cleaner, we think they offer a pretty good start. Have you used a robot vacuum cleaner before? What did you like or dislike about it?